CHARLESTON, S.C. – The Citadel recorded a school-record 10 sacks and scored 23 unanswered points to beat Gardner-Webb, 37-14, Saturday night. Gardner-Webb (2-3) trailed 13-7 at the half, but seized momentum and marched quickly to take a 14-13 lead just after halftime on a short touchdown pass from Lucas Beatty to Kenny Cook. The Citadel (1-3) controlled the game from there, however, scoring touchdowns on its next two drives to take a 27-14 lead with 22 seconds left in the third quarter that it would build on in the final 15 minutes. Gardner-Webb played the game without offensive line starters David Sutton and Ashanti McPhee, and All-Big South linebackers Tanner Burch and Chad Geter for the second week in a row. Leading rusher Juanne Blount also missed Saturday night’s game with an injury. The Citadel went to the air early and found success, with quarterback Aaron Miller connecting on a pair of passes to get into the red zone on the game’s initial drive. Miller plunged in from one-yard away for a 7-0 lead with 13:25 to play in the first quarter. Gardner-Webb drove deep into The Citadel territory, but had to settle for a 42-yard field goal on its first drive – with that kick sailing wide. The Citadel added two field goals in the second quarter for a 13-0 lead, but the Runnin’ Bulldogs mounted a late rally with less than a minute to play. Beatty drove GWU 59 yards on 10 plays, scrambling in from four yards away for a touchdown with 22 seconds left. Gardner-Webb had another chance to pull closer, with a squib kick ricocheting off a Citadel return man near midfield. Gardner-Webb recovered, and Beatty got his team within field goal range – but Paul Schumacher’s 34-yard attempt sailed wide right at the horn. Beatty heated up on the first drive of the second half to put Gardner-Webb in front. He marched the ‘Dogs 75 yards, hitting Kenny Cook on a 24-yard gain, then hitting him again for a one-yard touchdown with 11:36 left in the third. The Citadel drove for a score on the ensuing drive, with a 32-yard completion over the middle from Miller to Alex Glover setting up a short dive over the goal line from Jake Stenson. The extra point missed, leaving the host Bulldogs up 19-14 with 6:11 to play in the third. Gardner-Webb again drove to midfield, but a sack – The Citadel’s sixth of the night – caused Beatty to fumble, and the triple option was in business again. It was the first turnover gained by The Citadel’s defense all season. Two plays later, The Citadel was inside Gardner-Webb’s 30-yard line. A targeting foul on an incomplete pass set the Bulldogs up inside the GWU 10 and Miller snuck in from a yard away on fourth-and-goal for a 25-14 edge with 28 seconds remaining in the quarter. Miller walked in for an easy two-point conversion for a 27-14 lead. The Citadel recorded three consecutive sacks to force another punt, with those losses pushing Gardner-Webb’s rushing total to zero net yards with 13:21 left in the football game. A 43-yard run by Jake Stenson on an option pitch wide gave The Citadel first-and-goal at the GWU seven-yard line and the host Bulldogs looked to be in business again. Kenyatta Dunbar caught Cam Jackson behind the line for a 10-yard loss to push The Citadel back, however, and Eric Goins chipped in a 24-yard field goal for a 30-14 lead with 9:44 left in the game. The Citadel recorded its 10th sack on third down to force another Gardner-Webb punt, and returned the ensuing kick inside the 15. A holding call brought the ball back near midfield, but The Citadel drove in for another score. Miller finished it off with a nine-yard run with 5:18 to play, giving The Citadel a 37-14 edge and the final margin. 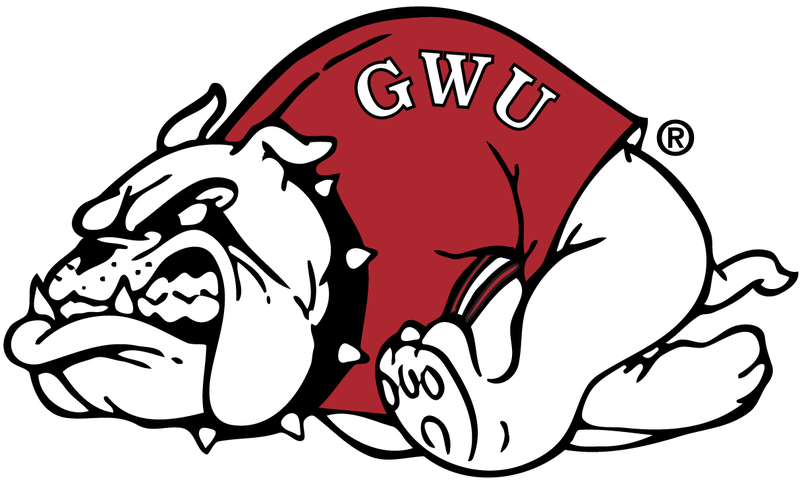 Gardner-Webb was held to a net of minus-2 yards rushing, its lowest total gained since joining NCAA Division I in 2000. The 10 sacks were the most allowed by a GWU team in a single game in that same span. Beatty was efficient and effective with the pass, despite the pressure. He completed 29-of-35 passes for a season-high 280 yards and a score. Cook was his favorite target, picking up 103 yards and a touchdown on nine catches. Seth Cranfill finished with seven catches for 65 yards – establishing a new Big South Conference career mark for tight end receptions in the process. Deonte Swinton had six catches for 61 yards and Mike Estes caught four passes for 36 yards. JJ Hubbard started at running back and finished with seven carries for 20 yards. Aaron Cook led the GWU defense with nine stops. Azziz Higgins and Tyler Hough-Jenkins each had eight. Freshman Jeffrey Pegues had a career-high seven stops and returned a fumble 31 yards in the second quarter. The Citadel racked up 509 yards of total offense, going for 323 yards and 58 yards on the ground 186 through the air. Miller was the star, rushing for 91 yards and three touchdowns on 18 carries and completing eight passes for 186 yards without a turnover. Stenson added 77 yards on just six carries and Smith had 58 yards on 15 attempts. Jackson added 57 yards on eight carries. Rudder Brown led the receiving corps with 67 yards on two catches – with his 47-yard play setting up the first touchdown of the game. The Citadel got a team-high nine tackles from Malik Diggs and had four different players collect at least two sacks in the game. Six players combined for the 10 sacks. Gardner-Webb returns home on Saturday to host Charlotte (3-2) at 1:30 pm in Ernest W. Spangler Stadium. The game will air live on ESPN3 (WatchESPN.com), with Mike Hogewood and Nate Ross providing the call.